Spyderco’s byrd line of budget-conscious knives have always represented some of the best values in the knife market, but the new byrd titanium-handled models now set that standard even higher. 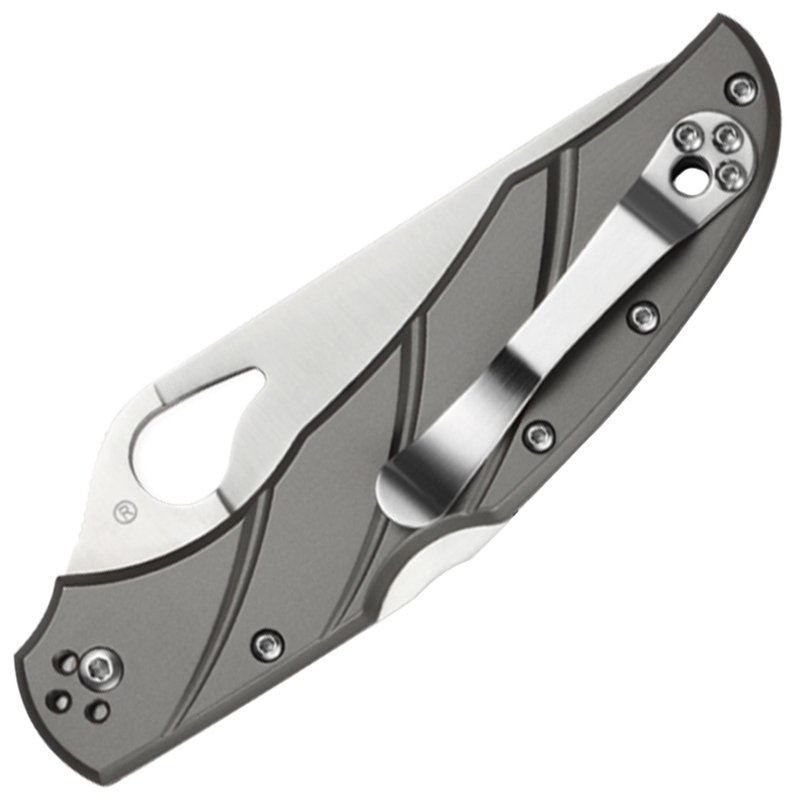 Winner of the “Best Buy” award at Blade magazine’s prestigious Blade Show awards, the byrd Cara Cara 2 Titanium combines all the proven features of this best-selling design with state-of-the-art, precision-machined, solid titanium handle scales. These premium scales feature machined decorative accents, a durable matte finish, and screw-together construction that ensures the precise alignment and tensioning of all components. They are also home to a full-flat-ground Plain Edge blade, a sturdy back lock mechanism, and a four-position hourglass clip that helps make both the carry and operation of this knife completely ambidextrous. 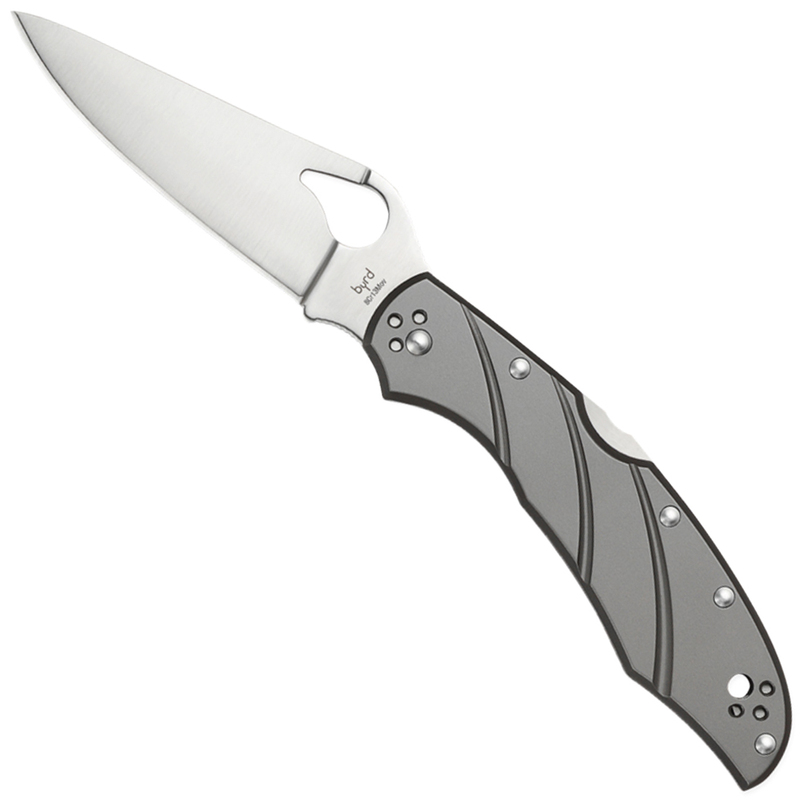 Like all byrd knives, the titanium-handled Cara Cara 2’s 8Cr13MoV stainless steel blade features the brand’s signature comet-shaped hole for swift, positive one-handed opening.